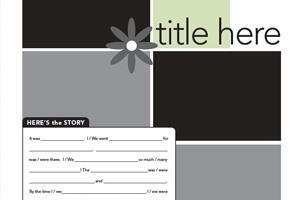 eBook? More like freeBook! 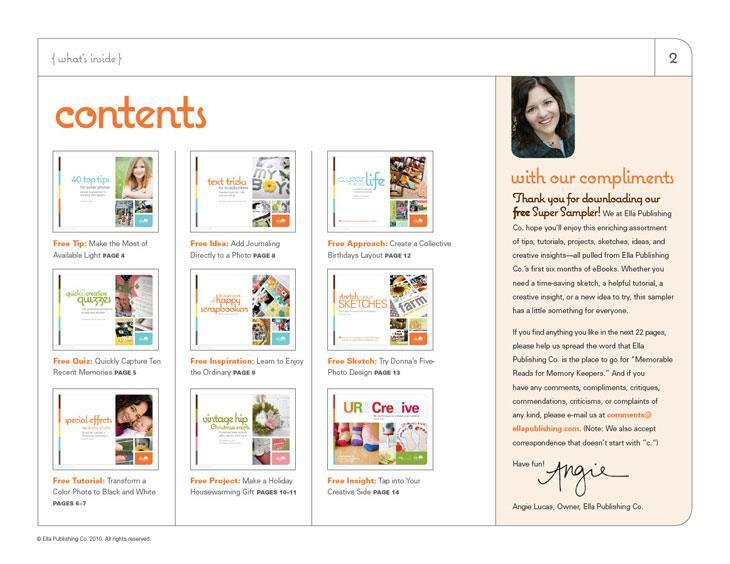 Get a taste of what our eBooks have to offer in this complimentary 22-page downloadable eBook. 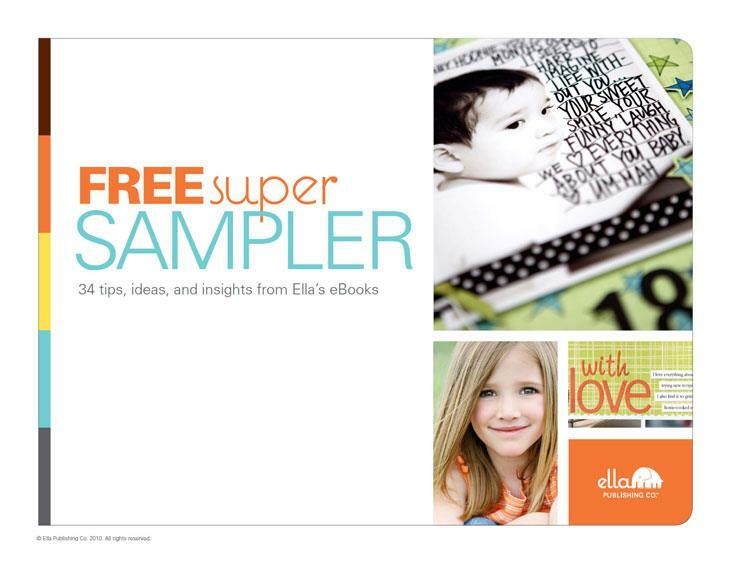 Ella Publishing Co., the original publisher of these eBooks that joined the Big Picture Classes family in 2012, has carefully chosen one page, project, or tip from 14 diverse eBooks, assembling them all into an incredible FREE Super Sampler! 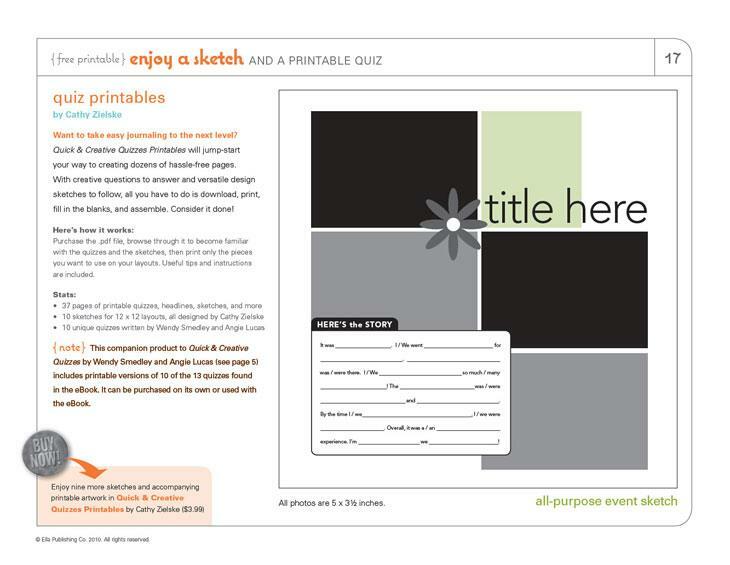 Enjoy professional photography tips, a digital tutorial, three free journaling quizzes, complete instructions for a darling home-decor project, a creativity exercise, a time-saving sketch, and lots of fantastic layout ideas accompanied by expert tips and advice. 0 dollars out of your pocket! 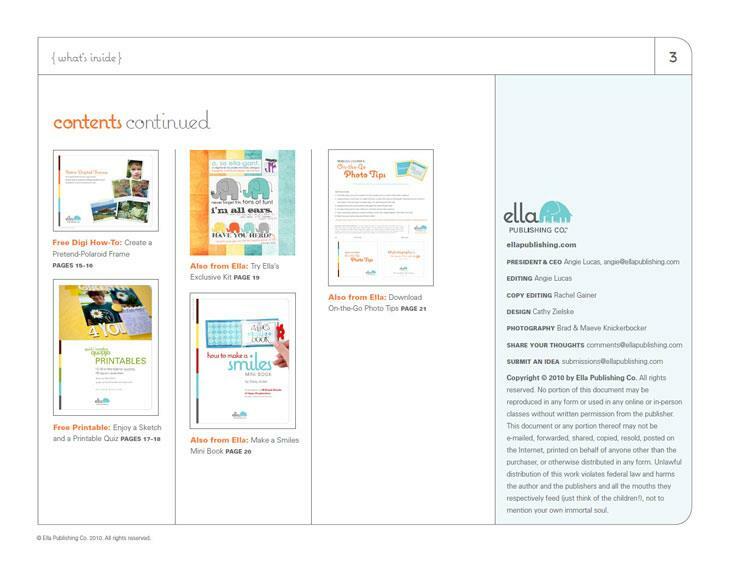 Ella Publishing Co., a Big Picture Classes property, is working to attract the industry's top talent, helping them package up their ideas into professionally photographed, carefully edited, beautifully designed, and easily downloaded eBooks for you to enjoy!